Min Altitude 840m / 2755 ft.
Max Altitude 5416m / 17769 ft. 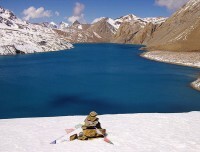 Highest Lake and Biggest Pass Trekking is truly an attractive destination for adventure enthusiast to experience the remote beauty of the Manang Valley lying on the shadow of Annapurnas and Gangapurna supplying plentiful chance to visit world highest Tilicho Lake at 4919m and world biggest Thorang La Pass at 5416m. 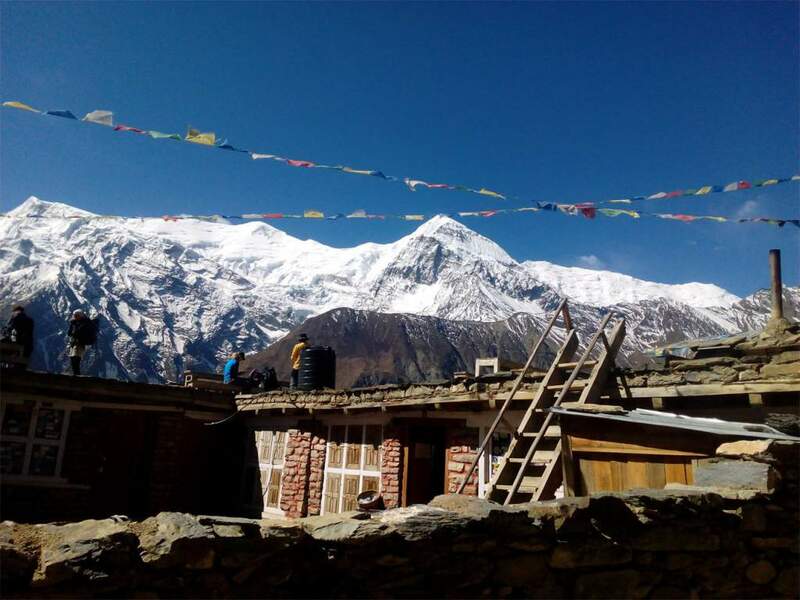 Following the well-known Annapurna Circuit trekking route, the trek passes through beautiful waterfalls, magnificent mountain views and a variety of landscapes encountering local people & monasteries and learning a little bit about culture. 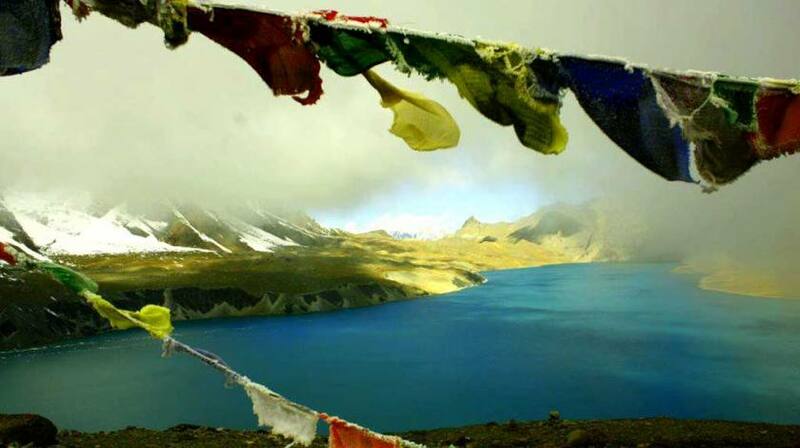 Enriched with the pristine beauty of people and nature, Tilicho Lake trekking also holds religious significance and believed that the Lake is the Holy Destination as mentioned in Hindu Book of Ramayana. 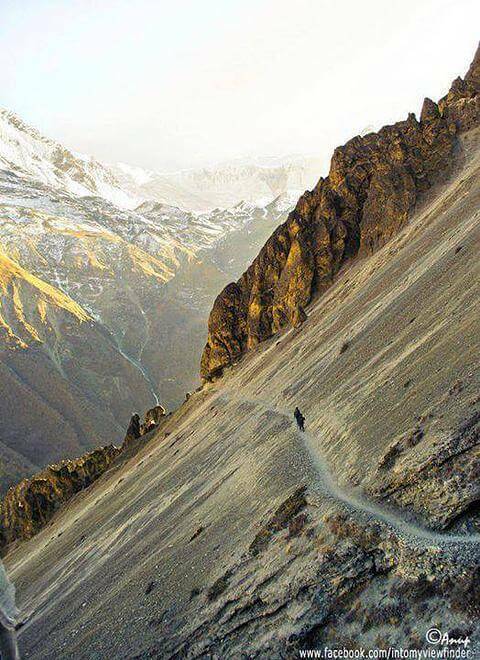 For more adventure seekers, there is the alternate thrilling route to reach Mustang via Mesokanta Pass trekking trail from around the lake however it needs camping supplies for two nights as there is no teahouse on the vicinity of Tilicho Lake until Thini Gaon (Mustang). Mustang region offers a splendid view of Mt. 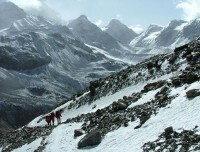 Dhaulagiri and Mt. Nilgiri towering the barren dry Kali Gandaki valley and allows visiting old Buddhist monasteries in areas like Kagbeni & Jharkot and most not to forget Muktinath temple – a sacred Hindu and Buddhist shrine. This typical journey of Tilicho Thorang La Pass trekking starts with a scenic drive to Bhulbhule and following trails of Annapurna Circuit trek passing through beautiful lush vegetation and waterfalls. 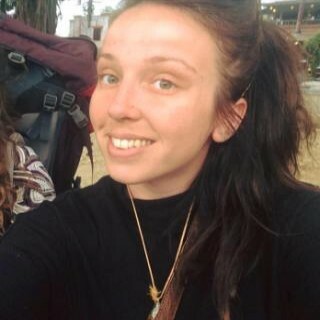 We will try to avoid roads as much as possible and continue to Chame up to where Jeep drive is possible these days but the walk has always been wonderful. 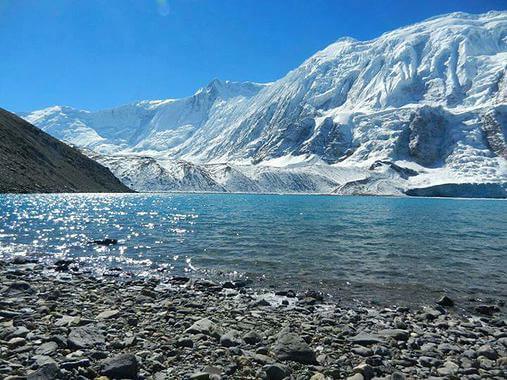 We shall visit various places of interest in and around Manang valley including Ice Lake, Bodzo Gompa, Bhrakha Gompa, Gangapurna glacier and few others. Trails to Tilicho Lake will pass through Khangsar village (also known as the Last Village of Nepal) and few Buddhist Gompa until Tilicho Base Camp Hotel which is the only place to stay before reaching the lake. 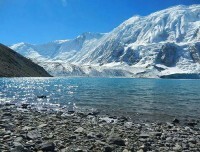 We shall visit tranquil Tilicho Lake in the morning as day trip excursion and get back to Base Camp to stay one more night before retracing the path to Khangsar village and Yak Kharka approaching world biggest Thorang La Pass (5416m) to reach another beautiful valley of Mustang. 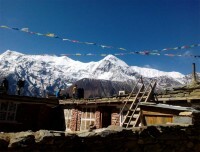 We start at around 4 am in the morning for Pass hoping to reach Thorang La top by 9 am to avoid the strong wind and then we had to descend for next four hours to Muktinath watching Mustang Valley and a panorama of Dhaulagiri mountain range. 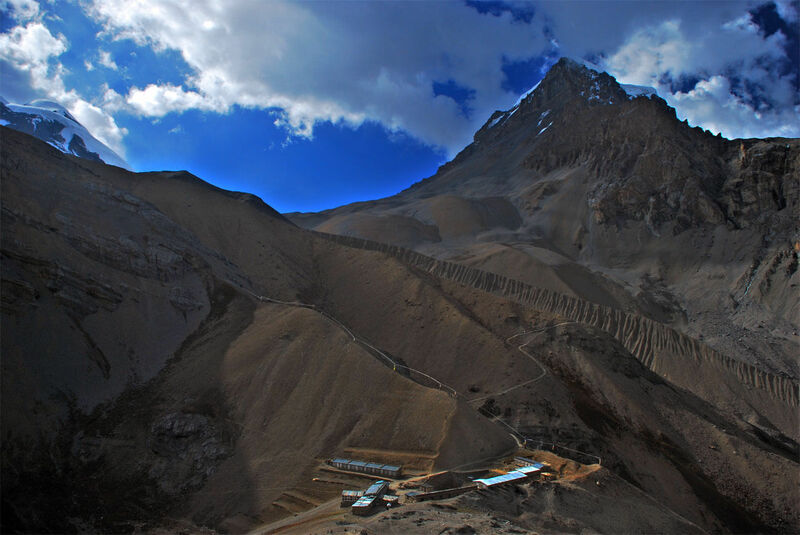 On our last day before a flight from Jomsom to Pokhara, we will have quick peek to Tiri village at Kagbeni to feel the ground of the first step to Historical Upper Mustang trekking route. Adventurous Journey towards the World Biggest Pass – Thorang La Pass situated at 5416m / 17769 ft.